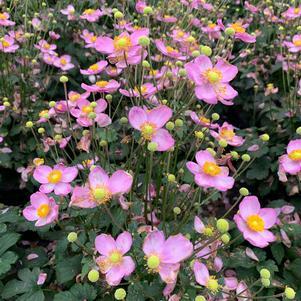 'Pocahontas' Windflower is a lovely compact introduction from the Pretty Lady™ Series of Anemones. 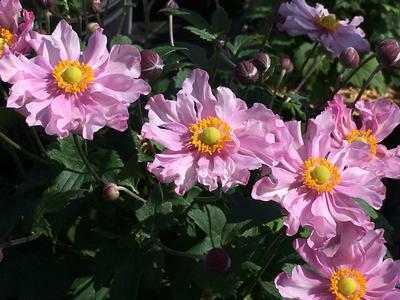 The large double flowers are a bright bubblegum pink, making quite a show in July, August and September. The blooms are followed by cottony white seedheads in the fall. 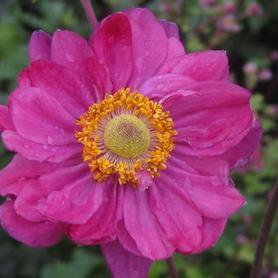 Anemone 'Pocahontas' is a heavy bloomer, so it is showy in the front of a mixed boarder and in late summer containers. The strong stems make 'Pocahontas' a useful cut flower, as well as resistant to flopping.